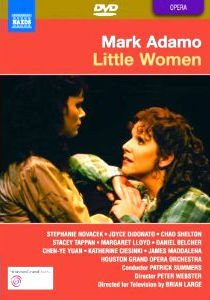 I’ve had this DVD sitting in my apartment for literally months – mea culpa, La – and I finally got around to watching Mark Adamo’s opera Little Women last weekend. Commissioned by the Houston Grand Opera, the piece received almost unanimous critical and popular acclaim when it premiered in 1998. 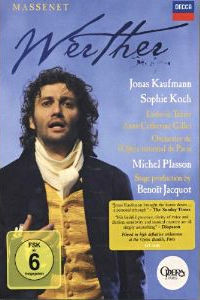 This DVD was recorded for television at a subsequent performance in 2000. In Measha Brueggergosman‘s newest DG release, “Night Songs…” Oh… sorry! That was Renée Fleming‘s beautiful 2001 Decca release of similar (occasionally overlapping) material. Let me try that again. “In the Still of Night…” Oh… sorry! That was Anna Netrebko‘s voluptuous CD of Russian songs released earlier this year. This live CD of Wagner orchestral excerpts and the Wesendonck Lieder is noteworthy for the conducting of Franz Welser-Most and the truly remarkable playing of The Cleveland Orchestra. I have seldom heard an ensemble sound so beautiful on CD. The strings shimmer like satin, the reeds are clean and clear, the brass warm and burnished with none of the bombastic over-blowing that seems to be so popular these days. On the occasion of Dietrich Fischer-Dieskau’s 85th Birthday, TDK has re-released performances of Schubert’s “Die schöne Müllerin” and “Winterreise” as a two-DVD boxed set. “Winterreise” was recorded without an audience at Siemensvilla, Berlin in January 1979, and is the earlier and more robust of the two performances. 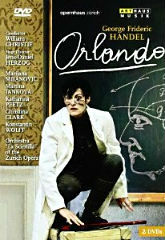 “Die schöne Müllerin” was taped over a decade later before a live audience at the Schubertiade Feldkirch, in June of 1991 – only two years before the great baritone retired.